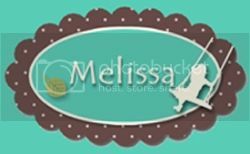 Porch Swing Creations: Craft Project Central - Mad Hatter Tea Party Decor! Craft Project Central - Mad Hatter Tea Party Decor! If you are looking for a unique theme for an upcoming Birthday, Baby, or Wedding Shower this Mad Hatter decor and favor box might be just what your looking for! 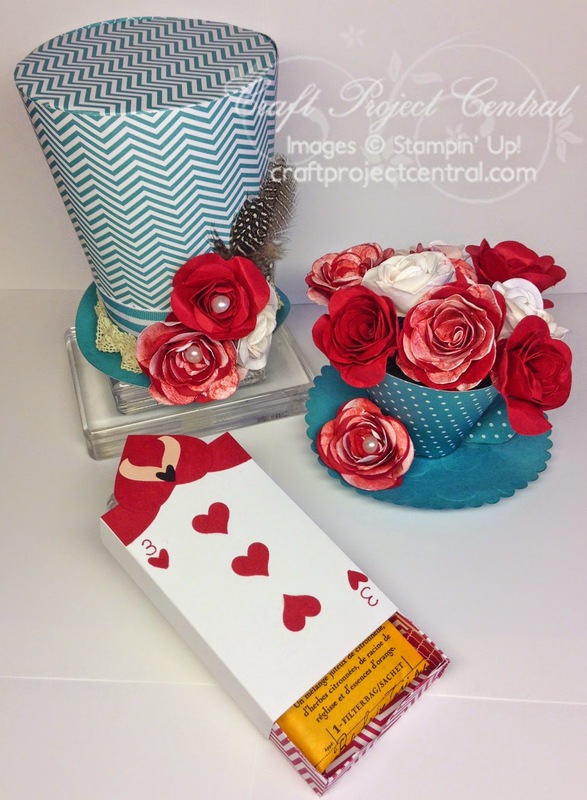 This set comes with a little playing card matchbox that is just large enough to hold a tea bag for each guest, a Mad Hatter's hat, and a tea cup full of red, white, and "painted" roses (to mimic the line from the Queen of Hearts in Alice in Wonderland: "Who has been painting my roses red?"). I designed this project for September's edition of Craft Project Central! If you are interested in the tutorial for this project you can get it one of two ways. The first way is to head over to Craft Project Central and subscribe ($10 for 10 tutorials) OR you can head over to Craft Project Central and leave a comment on my project for a chance to win a FREE subscription to September's tutorials (did I mention that's 10 tutorials?!) I'll announce the winner on September 14th! Good Luck! Wow! What a fantastic set. Love that top hat with the pretty flowers. The little cup is just as amazing! Very creative! Seriously! You are so talented! Thank you for being YOU! I love all your work! Craft Project Central - Kinda Eclectic Gift Set! Checking In & New Tutorials! Craft Project Central - Butterfly Mobile & Card! Craft Project Central - Flashback Mini Book Set! Craft Project Central - Fall School Supply Set!